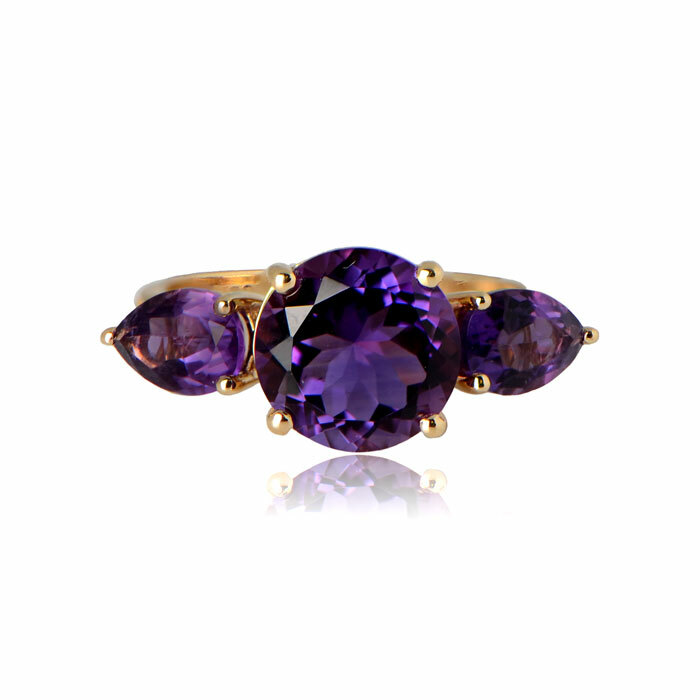 The Brooklyn Ring features a lovely deep-purple amethyst in the center, accented by two pear-cut amethysts and set in a 14K yellow gold mounting. Diamond run along the shoulders. 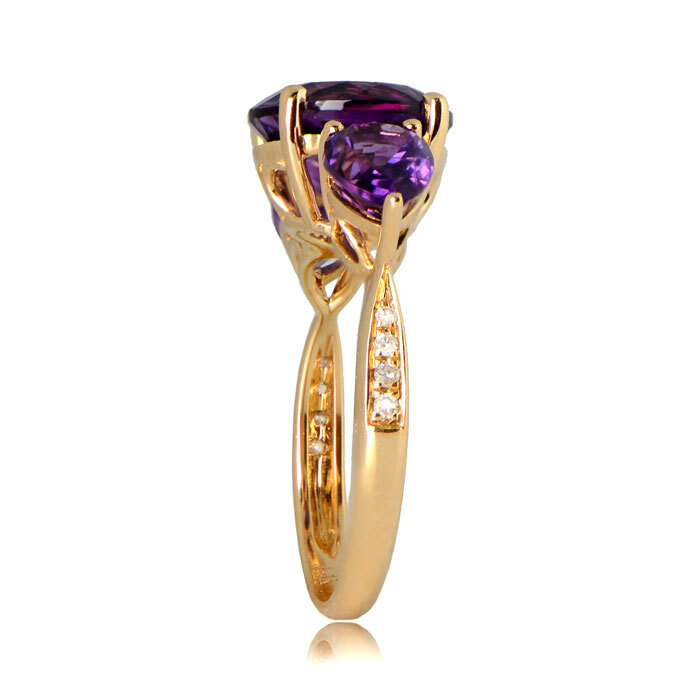 The under-gallery portrays beautiful openwork filigree. 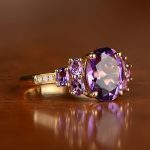 The center amethyst weighs 4.29 carats and he accenting diamonds weigh 0.05 carats. 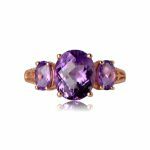 SKU: RY00096AM Category: Amethyst Rings - Contact us and request additional pictures.